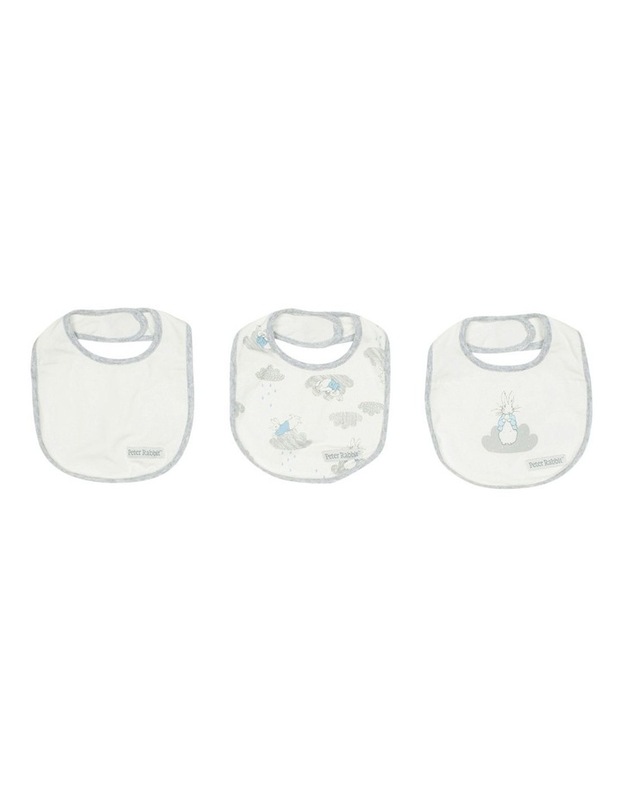 Hop into the cooler months with this 3 pack bib set. Featuring a sweet yardage and placement print of Peter Rabbit hopping amongst the clouds, this is the perfect gift for a newborn or someone expecting. Avaliable in three colourways.